I felt led to share this dream I received on the 11th of August 2018, which I shared on my YouTube channel. 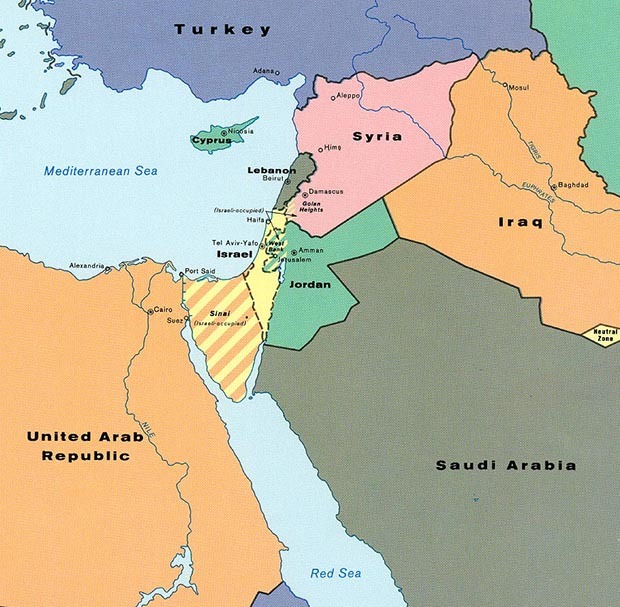 In the dream, I saw a map of Israel that extended beyond Israel to the south. A man appeared in my view and pointed to the coast of the Red Sea. Then the map went up and to the right and then back to Israel. I saw people in Israel like cartoon or video game characters. A group of them were archers and they were defending their nation with bows and arrows, which I think represent the military forces of Israel, but they only had small groups of defenders and I knew it was not enough. “The enemy will come in and kill their civilians and torture them. The words were merging together so it sounded like, “Russia-n-Iran.” So I knew their defenses were not going to be enough and the invasion would be terrible. I was gripped with a feeling of worry and concern, a dread of what is coming. I believe an invasion of Israel by Russia and Iran is coming and it will bring a slaughtering of Israel’s civilians, torturing them and causing destruction. I believe these nations are in close unison in their actions, hence the song merging their names together. I believe this was from the Lord and reveals what is coming. He is bringing judgment upon His people in Israel. Israel must repent and believe in Jesus Christ their Savior and Messiah and call upon Him to be delivered. I encourage you to pray for Israel and the remnant in Israel. A friend of mine had a dream of a whirlwind coming out of Turkey towards Israel. There could be more than Russia n Iran. Definitely not good . . . Please be careful with anything from Sarah Hoffman. She is a Mormon and some of her prophetic words claim God was instructing people to read the Book of Mormon. I don’t believe God would ever say anything like that. The LORD has been putting Israel on my heart once again, meaning that prayer is needed right now. HE also gave me a word and then showed me the SIGN of the SNAKE at the WAILING WALL. This is a sign that peace is going to be removed and evil is coming. Apparently, I just found out another piece of the puzzle last night. There is a video of a pigeon flying out of the wall BEFORE the snake came out of the Western Wall. The pigeon can also stand for a ‘dove.’…..and a dove stands for peace and the HOLY SPIRIT. THEREFORE, the SIGN at the Western Wall is that peace will be taken away, and deception/evil is coming to Israel. This could include, possibly, the signing of the Peace Agreement, as well as the mark of the beast. Thank you Elizabeth, I saw your video on this. May God bless you. I understand Iran, but what reason would Russia have foe attacking Isreal. I have had several dreams of Israel, and some of my friends. I pray for Israel. The Word tells us Israel will lose many. Their babies brains will be dashed against the stones and the women ravished. It is so terrible. It is grievous. Was any scriptural reference given to go along with this dream? Here’s a possible scripture backing for Chris Harris dream. Nuclear weapons and flying scrolls in scriptures. The unholy woman of Zechariah 5. Luke 21:20-24 comes to mind, among many others.